The Canadian reggae fusion band MAGIC! who is best known for their hit single “Rude” will be performing a headlining show in Singapore this coming January. The reggae pop band is composed of lead vocalist, guitarist and producer Nasri Atweh, guitarist Mark “Pelli” Pellizzer, bass guitarist Ben Spivak, and percussionist Alex Tanas, and is heavily influenced by The Police and Bob Marley and the Wailers. 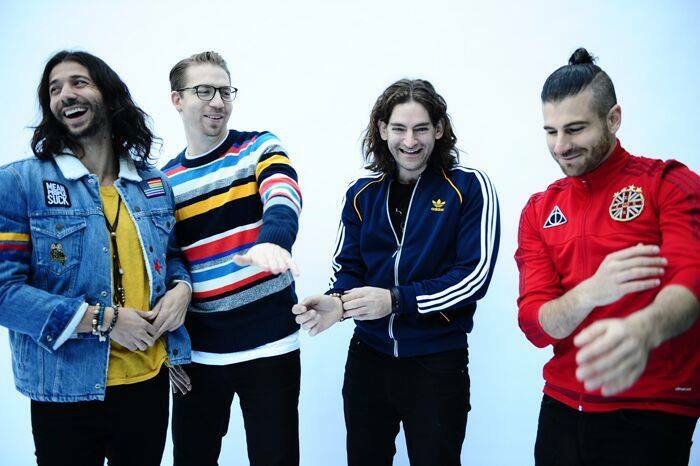 The band scored 2014’s song of the summer, “Rude” – a buoyant reggae-pop tune that held the No. 1 spot on the Billboard Hot 100 for six weeks, charted in 41 countries, sold more than ten million singles and boasts over one billion views on VEVO. Enjoy a fun filled laid-back night with MAGIC! as the present some of the songs from their sophomore album “Primary Colours” which include “Lay You Down Easy”, featuring Sean Paul, and also several other hits like “Darts In The Dark”, “Don’t Kill The Magic”, and “Let Your Hair Down”. Brought to you by Unusual Entertainment, MAGIC! 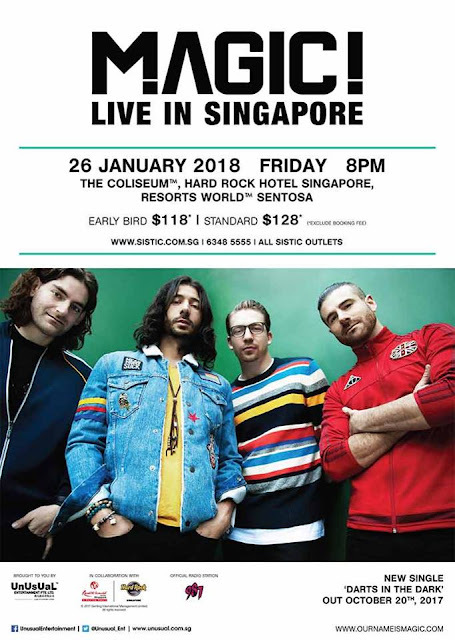 will perform at The Coliseum, Hard Rock Hotel Singapore, Resorts World Sentosa on 26 January 2018. Tickets are at SGD118 for early bird and SGD128 for standard price. They can be purchased from sistic.com.sg starting 5 October 2017.